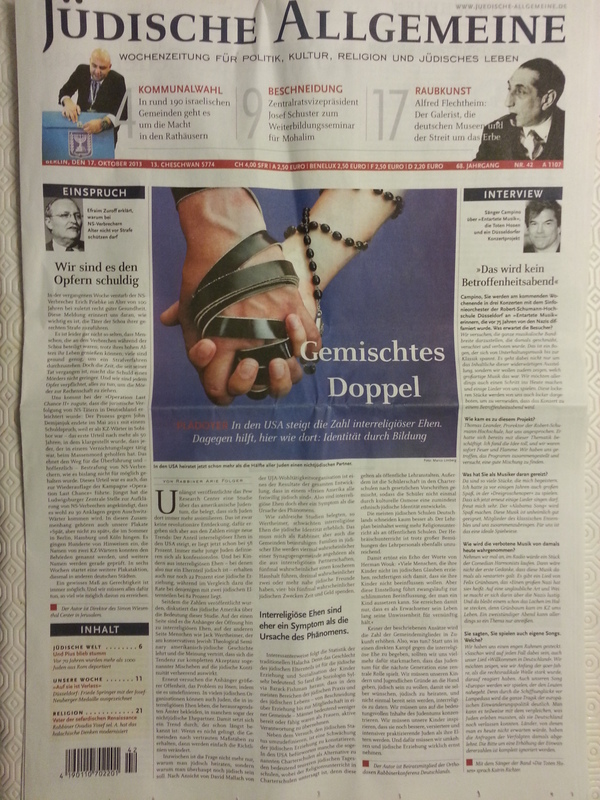 … and it’s not on a WANTED poster (though it’s not a postage stamp, either), the abbreviated German version of my article on the recent Pew survey of American Jews was featured on the front page of the Jüdische Allgemeine. Thank you Editor in Chief Mr. Kauschke. This entry was posted on Monday, October 21st, 2013 at 12:07 am and is filed under announcement, Deutsch, English, news. You can follow any responses to this entry through the RSS 2.0 feed. You can leave a response, or trackback from your own site.